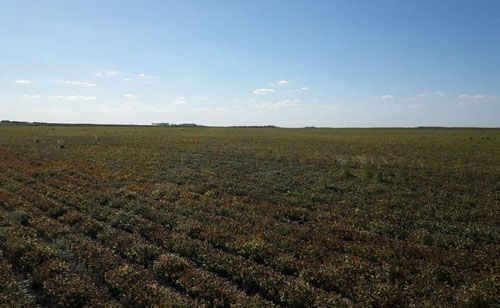 Crop development in Cordoba peanut belt in Argentina; since a few weeks the peanut crop is facing a very dry scenario due to the influence of La Nina climate pattern, no rain in most areas and sporadic showers in some areas. The moisture isn’t sufficient in general and the weather forecast for the next weeks isn’t really optimistic. On the top of this, combined with the drought conditions, the weather is too cold due to some Antarctic cold wind influence, temperatures are even freezing at night! 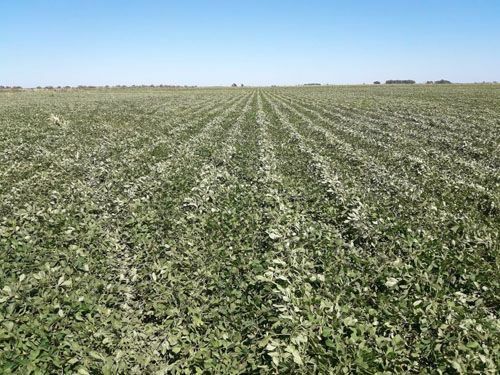 Some fields in the far South of Cordoba province are even suffering of frost, freeze damage, which is very unusual during the summer in Argentina. 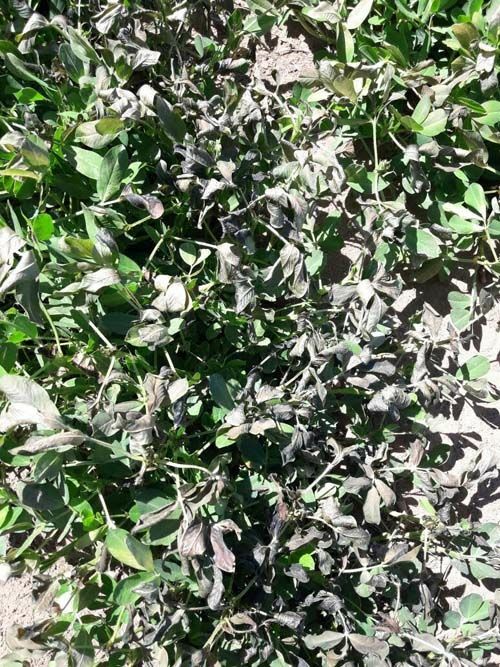 Unusual frost damage during the summer in Argentina.